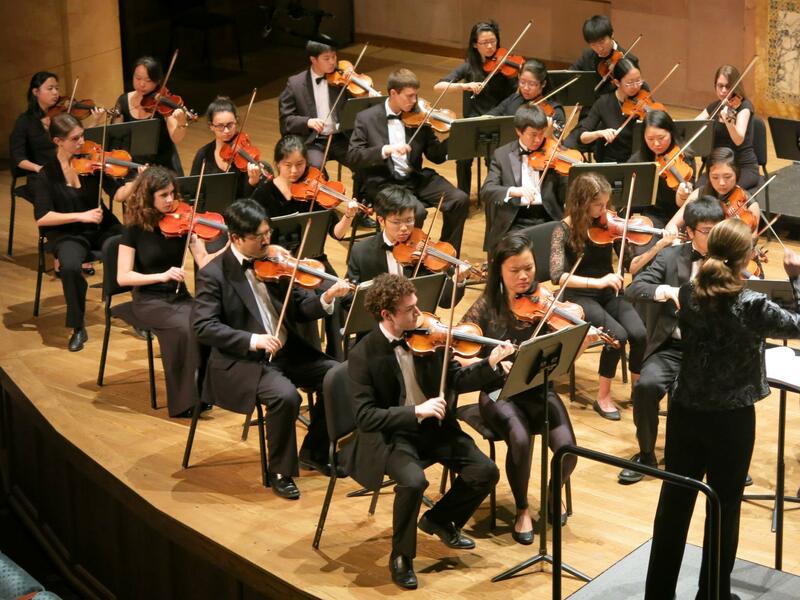 New students who are interested in auditioning for Sinfonia should only sign up for an audition on the PUO website (orchestra.princeton.edu). They only need to bring in a prepared piece, and do not need to prepare the posted orchestral excerpts. Sinfonia will hold an open rehearsal and reading on Monday, September 17 at 8pm in the Lee Rehearsal Hall. Even if you missed auditions but may be interested in Sinfonia, please come meet us and bring your instrument. 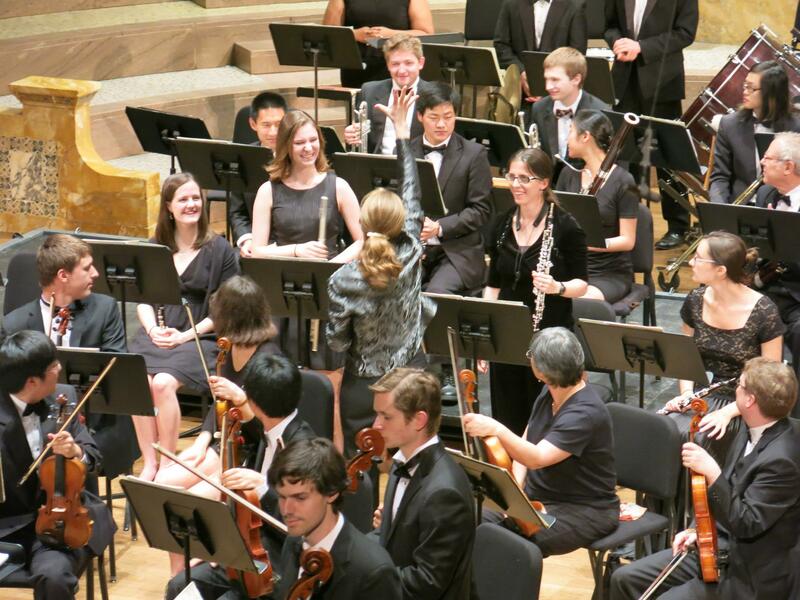 Sinfonia is welcoming of graduate student musicians. Regular rehearsals will begin Thursday, September 20. The regular rehearsal schedule is Monday/Thursday 8-10pm in the Lee Rehearsal Hall. Instrument lockers will be available in the New Music Building after auditions are completed. Please email any questions to Dr. Ruth Ochs (rochs at princeton dot edu), and we look forward to meeting and welcoming new musicians. 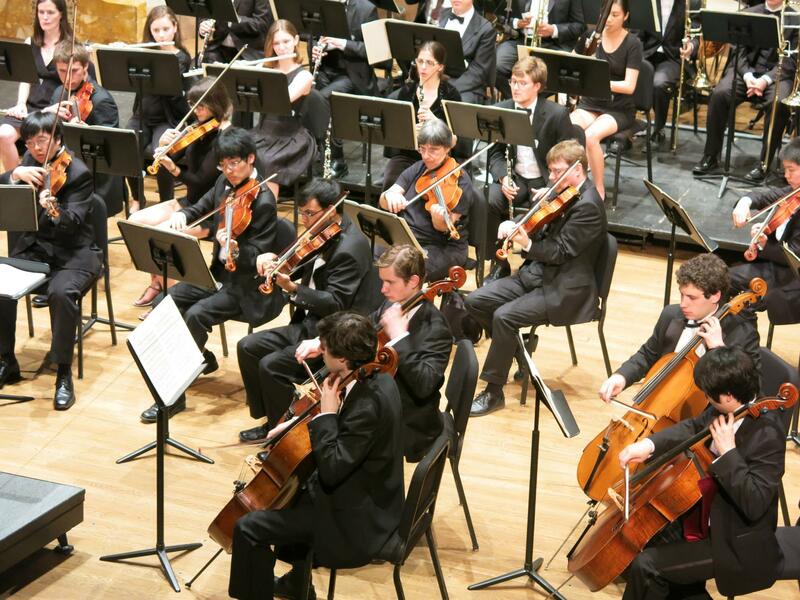 The Princeton University Sinfonia brings together eager, music-loving students to explore symphonic repertory from four centuries. Though rehearsals may wander briefly into philosophical ponderings and technical observations about music, the orchestra offers an escape from the academic side of Princeton. Students share each other’s company and talents in rehearsal on average four hours each week. Each semester concludes with a formal performance in beautiful Richardson Auditorium. Sinfonia also offers its own members a concerto competition each spring semester. Dr. Ochs is in her sixteenth season as conductor of the ensemble.